By the 1930s Woolworth's had become the most successful retailer in both the United Kingdom and the Irish Free State. As the staff packed thousands of customers' purchases, they wondered how the goods were made. The Staff Magazine gave them a rare insight into the mass production that lay behind some of the most popular products. 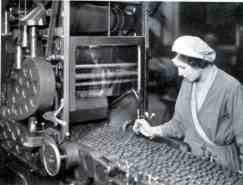 On this page we take a look at how sweets were made in the late 1930s. The pictures and editorial are from contemporary staff magazines as the house journal, The New Bond, written in response to suggestions from store staff. You can visit a Toffee Factory, a Chocolate Factory, or see How Easter Eggs Were Made. Harry Vincent Ltd. had built a strong reputation as the supplier of not only 'Bluebird Toffees' but also some of F. W. Woolworth's most popular pic'n'mix sweets, including Chocolate Toffees, Popular Assortment, Liquorice Toffee Rolls and Brazil Nut Toffee Rolls. Set in 154 acres the setting is altogether admirable, for spacious lawns and flower beds give way to rich pasture land; to woodland and bracken-covered hills. The greatest care has been taken to ensure maximum efficiency inside the Factory. Well-lighted and well-ventilated rooms house the happy staff of workers and gleaming machines. The neat blue overalls of the girls and the pale green of the machines contrast pleasantly with the white glazed brick walls, and the atmosphere is a particularly cheerful one. The making of good toffee is an art, but unlike so many products of the artist, toffee has to face the judgment of a world full of experts. Quality, therefore, is a paramount necessity and for that reason the utmost importance attaches to the milk and butter, the sugar, the syrup, and the other good things which go to its making. Samples of all the ingredients are tested in the Laboratory and in this way a uniform standard of quality is upheld. From the Mixing Room, the ingredients are transferred to steam-heated copper pans in which the toffee is stirred continuously during the boiling process. Close to the pans are hollow tables of polished steel, cooled by a continuous stream of cold water which flows through them. At the right moment the boiling toffee is poured on to these tables where is is spread to an even thickness. It quickly sets and is cut into the dainty pieces with which we are all familiar. The wrapping of toffee is a fascinating process. Row after row of modern machines are required to deal with the enormous output, and they swiftly clothe the luscious pieces in wrappers which are both protective and decorative. 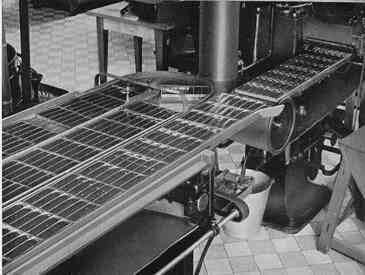 There are other machines which cut and wrap the toffee at the phenomenal speed of 500 pieces a minute. The machines literally cascade toffees and it is necessary for someone to be in constant attendance at each machine to remove toffees to the cooling tables. 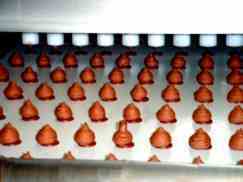 The chocolate toffees are made in a separate section of the factory. 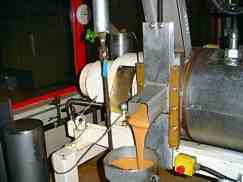 Machines called 'Enrobers' pour the chocolate couverture over the pieces of toffee as they pass through the machines. Endless belts then convey them through long cooling chambers to the examiners. The manufacturers are naturally proud of their wonderful factory and are always happy to let visitors see for themselves the ideal conditions under which their toffees are made. 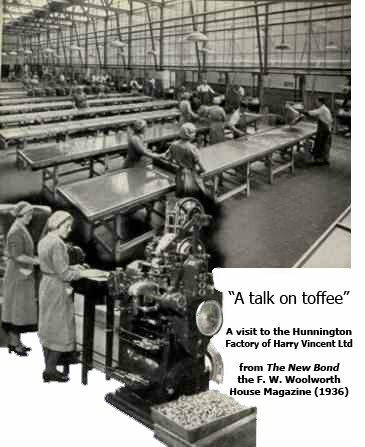 Harry Vincent Ltd later joined Ashbury Confectionery Limited, and were still serving Woolworths with a popular range of toffees more than seventy years after the original article was written - remaining a firm customer favourite into the 21st Century. In 2004 they very kindly invited the Woolworths Museum to visit and photograph their modern factory. We included our pictures for comparison. Ashbury joined Baronie Group on 10 February 2015. 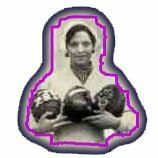 You can find our more about them on their website: http://www.baronie-group.com/. The photographs show their ultra-modern, hygienic plant at Corby, Northamptonshire. Thanks to the latest equipment and techniques they are able to produce 2,500,000 sweets every day! By looking at the pictures you see the huge progress that has been achieved overf seventy years. But we can vouch for one thing that hasn't changed - the toffees still taste fabulous! 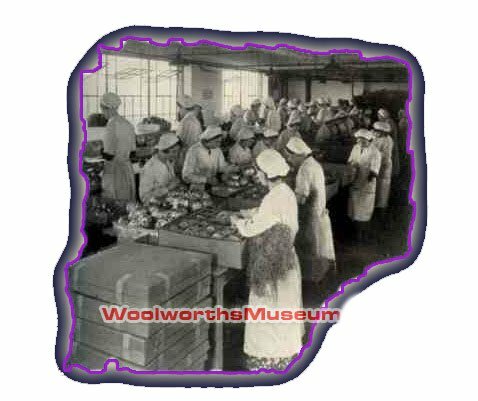 The Woolworths Museum would like to record our appreciation to Ashbury for generously inviting us to their factory and letting us take the photographs for inclusion on the site. They served the store-based company with great professionalism, even when the going got tough. It was sad that the long relationship ended so badly. We wish them well. We would also like to thank Wendy Waller, formerly the Assistant Buyer at Woolies for making this feature possible. Nestlé was a key Woolworth supplier for most of the chain's hundred years in the High Street, By the 1930s the Threepenny and Sixpenny Stores stocked a number of its chocolate bars. 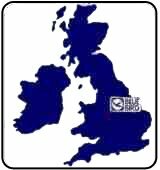 They also became established as the leading outlet for the condensed milk that the Anglo Swiss Company made at its Staverson, Gloucetershire creamery. The high sales in-store proved intriguing to many Woolies people, prompting a feature in the staff magazine, The New Bond. 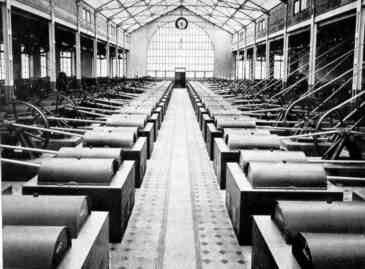 In a series of articles the journal profiled each of the supplier's factories, including the following decription of their chocolate factory in the Middlesex town of Hayes, a few miles to the west of London. Almost everyone has a weakness for chocolate, and with the present universal appreciation of its worth as an article of great nutritive value, more and more is being consumed every year. It is, therefore, of some interest to know just how the humble little cocoa bean is transformed into the most favoured of sweetmeats. 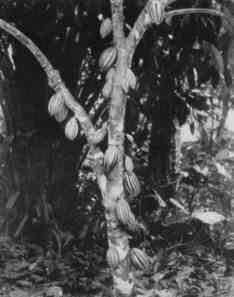 The cocoa tree originated in Mexico where the fruit was considered more valuable than gold. The Spanish conquerors of Mexico fully realised its importance and were responsible for taking the seeds to other countries, until now the world is supplied by plantations in Brazil, Ceylon [Sri Lanka], Java [Indonesia] and especially West Africa. Cocoa trees are usually from fifteen to thirty feet high and the fruit takes the form of an elongated pod, varying in colour from yellow to red. Inside these pods are found the seeds or cocoa beans of commerce. The quality of the beans greatly affects the ultimate smoothness and flavour of the chocolate, so that Nestlé's, with a reputation dating from the inception of the modern art of making chocolate as we know it, take every precaution to obtain the best possible grade of bean. At Nestlé's huge factory, Hayes, Middlesex, samples from every consignment are examined and tested by a staff of chemists and only when the quality has been proved to their full satisfaction are the beans used for production. As a preliminary the beans are fed along a wide moving band and nimble fingers of trained operators remove any foreign matter and imperfect beans. After sorting and cleaning is completed the beans are passed into giant heaters for roasting, a process which brings out their characteristic aroma and considerably influences the quality of the chocolate. The roasted beans then proceed to the crushers, where they are broken into very small pieces, or 'Nibs', as they are more often termed. A sieving or winnowing process is then employed to separate the husks and the seeds from the Nibs. The crushed beans enter a specially designed mill which converts the Nibs into liquid mass. At this stage, rich full cream milk and pure refined sugar are introduced and the whole is fed into huge mixers to form a rich chocolate paste. A very high degree of refinement is necessary, and it is only by such a process, continuing day and night without pause, that the full flavour, velvety smoothness and perfect blending of the chocolate can be guaranteed. The chocolate mass is first rolled between a succession of cylinders and, when extra cocoa butter has been added the process, is completed in conches (illustrated at the top of this article) which are shell-like receptacles with a roller arm ceaselessly moving round and round kneading the liquid chocolate. As soon as conching is complete the chocolate is automatically fed into bright metal moulds which carry it over specially designed tapping tables (left) to shake down the contents and remove all bubbles. While still hot it travels into a refrigerated cooling apparatus and then re-appears in a solid form ready for the packaging department. The cocoa bean has now almost completed its journey through the clean white factory and as chocolate there is intricate machinery waiting to foil and dress it in the well-known Nestlé's wrappers with a precision which is almost uncanny and more than justifies the slogan, "Untouched by hand." First of all a word as to the foil - the overcoat of the egg as it were. The foil used on Easter eggs is aluminium foil and thousands of sheets are required to cover the total quantity of eggs which is sold in Woolworth stores alone. All the foils used are designed specially for the eggs, and work on the designs, selection of patterns and similar matters, commences in January for the Easter of the following year. 12,000 samples of foil were reviewed to come up with 18 designs. But let us return to the egg itself. Chocolate eggs are made in metal moulds. Each mould is in two halves linked together with a hinge and fastened by a clip. In each mould is deposited the exact weight of chocolate to produce a perfect egg and the moulds are then transferred to a machine known as as a 'Spinner'. A Spinner is something like a wheel with a number of metal cages on the outer rim, each cage being made to contain a number of moulds. The cages rotate on the wheel which is also turning slowly. The illustration (left) gives some idea of this. The effect of this motion on the mould is such that the chocolate adheres to the inside thus making the eggs of equal thickness throughout. The same moulds are used many times over, but an initial quantity of up to 5,500 moulds for each sized egg is required to make Easter eggs in this manner on any large manufacturing scale. At the particular plant in question eggs are produced at rates approximating from 70 to 180 per minute according to size. After the chocolate eggs have been taken from the moulds and carefully examined to ensure that they are faultless, they are passed to another department where they have to be foiled. The foil is placed round the egg, pressed down and then rubbed down and polished with tissue paper. It is very important that the foil should be placed on the egg in a certain manner to ensure that the design is correctly registered. Great care has to be taken in this operation when dealing with eggs which have faces on the side such as Humpty Dumpty face or anything of this nature. After the eggs are foiled they have to be packed in specially designed boxes and then in outer cartons to reduce the risk of damage in transit. They are then despatched to Woolworth Stores by the warehouse or by Railway. While packed the consignment of eggs for each store takes hundreds of square feet of storage space and may weigh several tons. 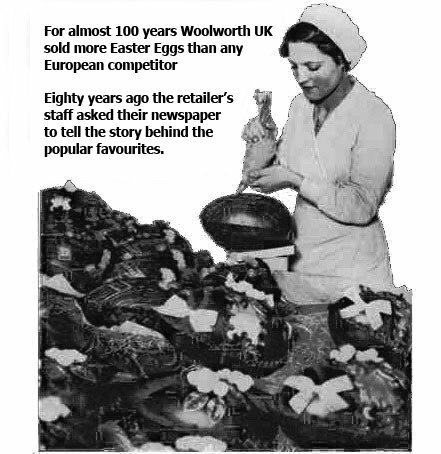 The manufacture of Easter eggs is commenced as early as September or October the previous year to accommodate the tremendous quantities sold by Woolworth stores. When despatched the volume requires the Railway Company to lay on extra trains to deliver to the larger stores. The number of Easter eggs sold in Woolworth Stores runs into many millions, in fact one egg is sold for every six persons in the United Kingdom!